Nick defends major banking and financial services industry clients in civil litigation matters alleging violations of federal and state law. Nick also handles appeals, class action defense, contested foreclosure, CFPB regulatory compliance and defense, title disputes, and other commercial litigation matters. Nick is a member of the firm’s Financial Services Litigation practice group. He has helped create favorable new law for his Financial Services Industry clients in important areas including the Truth in Lending Act and Dodd-Frank Wall Street Reform and Consumer Protection Act, the statute of limitations for mortgage foreclosure, and preemption of state law causes of action by the Fair Credit Reporting Act. While attending the University of Miami School of Law, he was a member of the University of Miami Law Review and the Charles C. Papy Jr. Moot Court Board. Nick received his B.A. from Samford University and was a member of the Intercollegiate Debate Team where he was a three-time participant in the elite invitation-only National Debate Tournament. 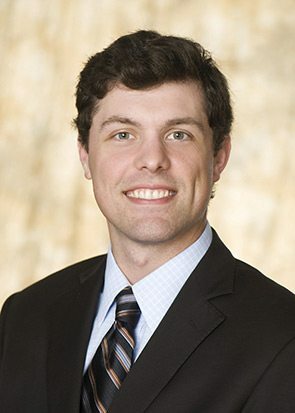 Nick is also a contributing author to the firm’s Consumer Finance Litigation Blog. Co-Author, “Tripwires for Litigation,” Mortgage Banking Magazine, July 2014. Co-Author, “Lender Responsibility Regarding the 2013 Dodd-Frank Mortgage Servicing Regulations,” ABA Bank Compliance Magazine, May/June 2014.